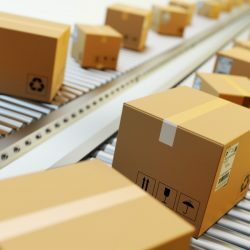 Home /Is your packing operation ready for Black Friday 2018? The festive season is fast approaching and many UK businesses are getting ready for the busy period ahead. Companies such as Sainsbury’s and Argos have recently announced plans to recruit additional staff to help them cope with increased demand in the coming months. Last year, 91% of UK retailers participated in Black Friday and online sales reached an impressive £1.4bn (an increase of 11.7% compared to 2016). This year, British customers are predicted to spend even more during the “extended” Black Friday weekend of 23rd – 26th November. There is still time to get your packaging operation ready for the “biggest sales event of the year” and we have recently talked about a few ideas in one of our previous articles – Short-term solutions to get your packaging operation ready for peak. Today we want to talk a bit more about packaging automation. With the falling number of workers coming from the European Union and growing skills shortage in Britain, retailers may want to look for alternative solutions to maximise their throughput, especially during hectic times. Packaging automation is one of them. Not only does it allow for consistency in your packing processes and makes you less dependent on fluctuations in the labour market, it also helps save costs throughout your entire operation. Automated machines ensure you only use as much packaging as you really need for each order, and lighter, compact packages take less space in your warehouse and delivery vehicles. You will save on material costs and keep packaging waste to a minimum, which is great for the environment and your green credentials. Your parcels will look smarter and, contrary to what you may think, they will be better protected against drops and shocks in transit. And you can automate pretty much everything from box erection and sealing to tape dispensing and stretch wrapping, depending on your needs and budget. If automation is not for you, packaging solutions such as temporary pick bins will also help increase your picking times and improve warehouse efficiency at peak demand. They create an effective pick and pack area and can be stored away when they are no longer needed, allowing for more-optimised use of your storage space. You can also switch to mailing bags or wraps for faster packaging, depending on the products you ship, or consider crash-lock boxes which can be put together in seconds to speed up your packing. To find out more about packaging automation or other cost-effective solutions that can help increase your warehouse productivity, contact Macfarlane Packaging today.